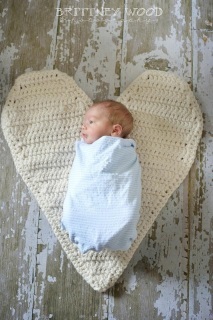 Cuddle Bug Critter Capes are a fantastic photography prop! Made of soft yarn, with lots of colors and choices make these a great choice for any photography session! Capes come with buttons to attach to cap. 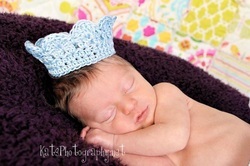 Beautiful rhinestone and pearl tie-back headband that is perfect for dressing up your Little Miss for any occasion. Made from super soft snuggeable yarn. Versatile photography prop for any studio or outdoor session. To order any Photography Prop or to request a custom order, simply drop us a line!